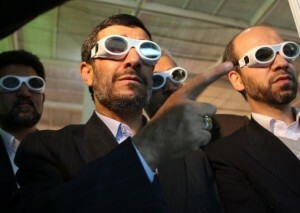 has determined that Iran is conducting a nuclear weapons program. in the Islamic Republic of Iran,” dismissed an assertion by the U.S.
“Since 2002, the agency has become increasingly concerned about the possible existence in Iran of undisclosed nuclear related activities involving military related organizations, including activities related to the development of a nuclear payload for a missile, about which the agency has regularly received new information,” IAEA said in a report on Nov. 8. The report, said to be based on information from 10 countries, said Iran worked to develop a nuclear weapon and tested components. The program included the procurement of dual-use and other equipment by the Iranian military and front companies. gaps, required to trigger and fire detonators. range of at least 2,000 kilometers. chamber of the Shihab-3 missile re-entry vehicle,” the report said. Qom, an underground facility exposed by Western intelligence in 2009.